Washington County elections officials are encouraging voters to mail or drop off their ballots as soon as possible for the November 6 General Election. 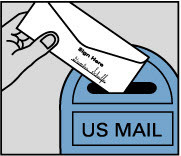 Voters should have received their ballots by mail last weekend. 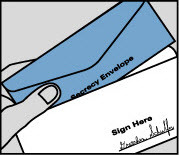 Voters will have until November 1 to send their completed ballots in appropriately signed envelopes with a postmark from the U.S. Postal Service. After this date, completed ballots should be dropped off at official collection sites in order to meet the election's 8 p.m. deadline on November 6. Ballot drop-off sites can be found on the Washington County website. Information about vote-by-mail, voter eligibility and other election matters may be found at the Washington County Elections Office website or by calling 503-846-5800. WCCLS is excited to announce that patrons can pay their account fines and fees online, starting today! View your fines and fees. Click the "Pay Fines Now!" button and follow the directions. If you have additional questions, please contact your local library branch.